Summer is still making its presence felt and the best way to stay cool the desi way is by wearing light breezy kurtis. Kurtis have been in trend for years now and they dont seem to be going anywhere soon all thanks to them being both comfortable yet stylish at the same time. I am an out and out kurti gal. Kurtis are my go to outfits and I turn to them on innumerable occasions a birthday party, shopping spree, festive dos, laze around the house or run simple errands Kurti is what I find myself in 90% of the times. My wardrobe is overflowing with kurtis in myriad colours and styles and I simply cant have enough of this comfortable outfit style especially post pregnancy. The thing about kurtis is women of all shapes and sizes can flaunt it with equal elan and they can be styled in so many different ways. Super versatile. Here I bring to you 10 Refreshing ways to style a kurti in. If you stick to just legging and kurti combo you are missing out on some juicy style experiments. 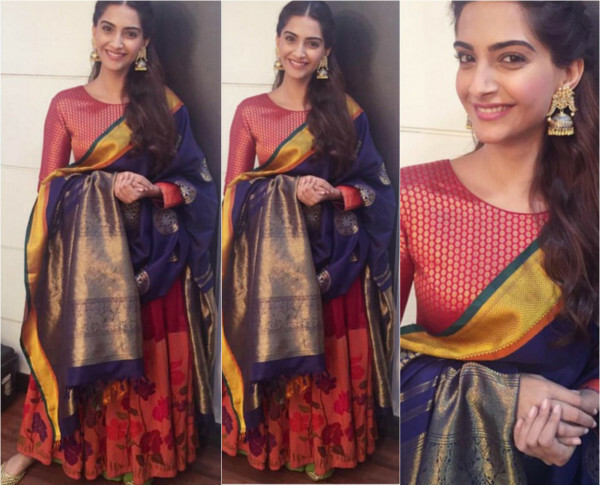 Use these ideas to get some desi style inspiration for the festive season ahead. Refreshing? Not really but ofcourse kurtis and leggings are a match made in heaven ad not mentioning leggings here would be a sort of a crime. For the most comfortable and lazy styling pair your kurti with a legging in contrasting colour or even go matchy matchy and add a contrast stole or dupatta for a uber chic casual everyday look. This combination works well for college going girls and can also be worn to office. If you want tight fitted leggings go for brands like Juniper or rangmunch and if want a more relaxed fit try chudidaar type leggings from Biba or Karigari. Personally I love all these legging brands for their awesome quality . I buy them from amazon or flipkart during sale at upto 50% off . Kurti for diwali? Not too festive but you can make it work by adding a rich silk dupatta in contrast colour. Gaurang shah has brought in kanjeevaram dupattas and they are hot in trend with brides to be. 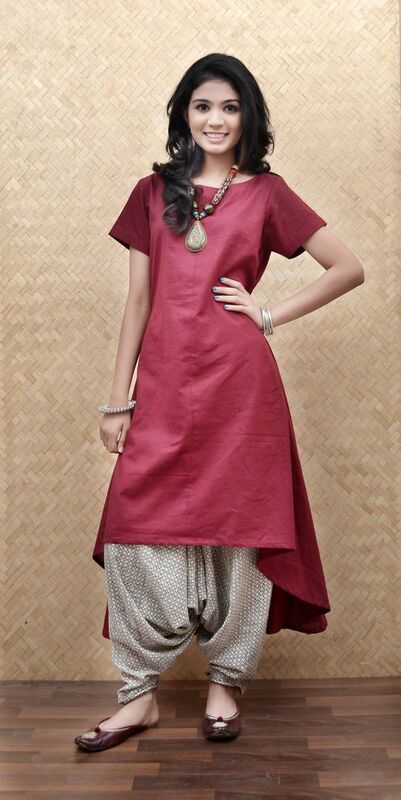 Pair a raw silk kurta with palazzos and contrast dupatta to look comfortably festive . You can reuse you moms old silk sarees to make a dupatta out of it. Jeans and kurti are very popular with young girls and is best for formal occasions. with this styling you can easily leave the stole or dupatta home. Pairing skirts with kurtis are new in thing and i have spotted many celebs and fashion bloggers do it. 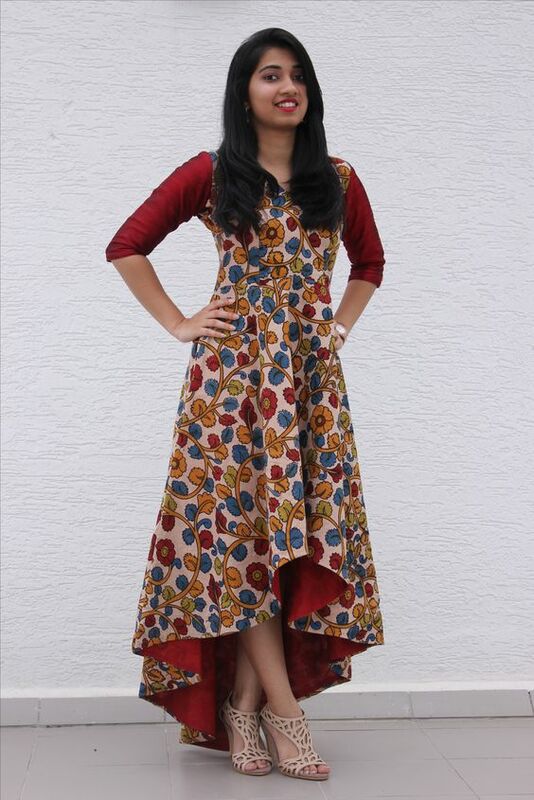 To get this pairing right always look for contrasting and a longer kurti will make more impact. The dhoti silhouette isnt my favourite but it has its share of fans. You can pair a short kurti with dhoti pants too for a layered look. Belts in ethnic wear are very popular these days and you can add one to your kurti to define the waist add some detailing. This works best with anarkali kurtas but if you want a funky belted kurti look add a broad leather or metallic belt to a plain straight kurta. Patialas have been paired with straight cut dresses for ages and they can easily be paired with kurtas too. Go for patialas with lots of pleats for a voluminous chic look. Have you ever stepped out of your home wearing an anarkali kurti without bottoms? Time to try it for a fusion indo western look. Know of more ways to style the comfy kurti? Tell us in comments below.